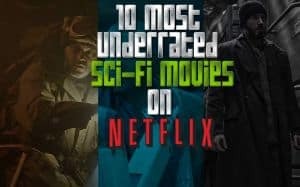 10 Most Underrated Sci-Fi Movies on Netflix To Watch | Nerd Much? Honestly, the sci-fi movie catalog on Netflix isn’t even close to as impressive as their selection of action movies or dramas. While everyone’s favorite movie streaming service has a ton of classic sci-fi movies, their selection of recent sci-fi films is a bit lacking. 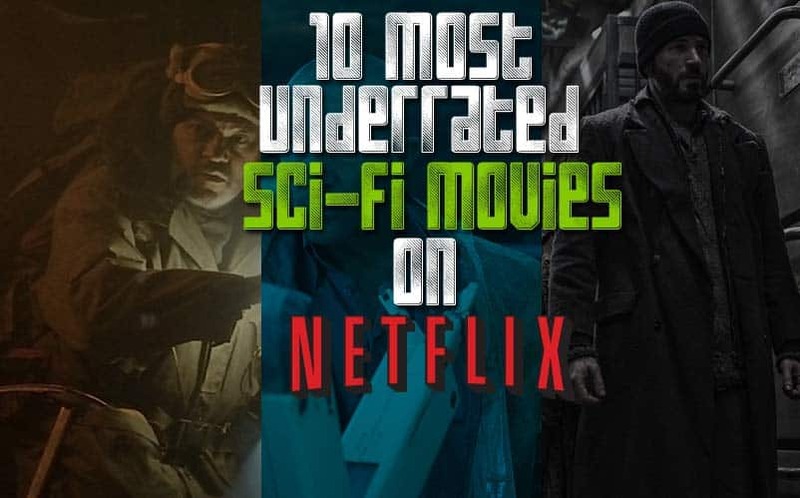 But if you scroll through the deep abyss of Netflix movies, you will eventually find a sci-fi movie to watch involving aliens, the apocalypse, space battles, alternate realities and other frequently traveled ideas in science fiction. The Machine, originally released in 2013, was released in the UK and didn’t receive a lot of high ratings from critics. However, it won a few independent film awards. The Machine follows the story of the creation of a sentient cyborg and the moralities of her treatment, as well as the implementation of cybernetics for military purposes. The cyborg’s creator, Vincent (Toby Stephens), has to try and prove that Machine is, in fact, sentient. It’s a sci-fi film that will definitely get you to think, and actors Toby Stephens (Captain Flint from Black Sails) and Caity Lotz put on stellar performances. Antonio Banderas is an actor who has seen a lot of ups and downs in his career, and they’ve mostly been downs as of late. The same goes for Dylan McDermott. Automata is the one exception, though. The story follows an insurance agent for a robotics corporation who investigates robots that violate their protocols. I’d call it emotional sci-fi, and it’s a refreshing take on the robot movie genre. It’s a very moving and likely realistic sci-fi film about what we’re likely to encounter in our future, probably sooner than later. Unfortunately, it was even released in U.S. theaters, but you can find it on Netflix or DVD/Blu-Ray. Chris Evans is also one of those actors we never really liked, even though the Captain America movies are ultimately badass. But his performance in Snowpiercer is commendable. The movie is set in the future where a failed climate-change experiment kills everything on the planet except for a lucky group of people who were on the Snowpiercer, a train that now has a class system. The back of the train contains the lowest class, whom eventually revolt in an effort to take the front. It’s ambitious and visually stunning, and it should have seen much better reviews than it did. Goodbye World made zero splash in U.S. theaters. But it was a well-acted movie that deserved a bit more attention. For one, it stars Gotham’s Ben McKenzie, as well as the nearly forgotten Adrian Grenier. The story revolves around a defunct married couple, James and Lily, who are living off the grid in the countryside when a mass text sends the world into an apocalyptic setting. Their old friends show up at the home looking for shelter, and things get weird from there. It’s not too far-fetched, either, as the situation seems plausible enough to be mildly concerning, at least. Goodbye World is an underrated sci-fi drama that deserves the watch. Sci-fi horror can be tough to watch at times because it usually comes off as just plain silly. But Mimic is a great example of how it should be done. How do you stop a deadly disease? You wage bio-warfare against it! In an effort to combat disease-infested roaches, scientist Susan Tyler genetically engineers an insect that can mimic its prey’s behaviors. The insect evolves into something even beyond what she imagined, wreaking havoc on humans. Mimic has some truly terrifying moments, and is generally just a fun sci-fi horror romp. Embarrassingly enough, this underrated sci-fi movie only brought in $25.4M. Foreign sci-fi films shouldn’t be overlooked. If you understand Spanish or can sit through the subtitles, The Last Days (or Los Ultimos Dias) is a fantastic movie with a lot of cool ideas. The movie revolves around an epidemic sweeping the world where humanity develops an irrational fear of open spaces that causes instant death. A man sets out to find his lost girlfriend without ever stepping foot outside. For being such a low-budget sci-fi movie, it’s impressively well-done and deserves your eyes. We’ve all seen alien movies before, and Extraterrestrial doesn’t bring much originality to the sci-fi movie genre. It’s about a group of friends being terrorized by alien visitors while weekending in a cabin in the woods. It gets on well-enough, but it’s one of the better low-budget sci-fi movies we’ve seen. It’s terrifying and has a great ending, and creates some clever visuals throughout the movie. If you like campy sci-fi, Extraterrestrial is a good choice. Respect Parallels for its concept, because it doesn’t end well. It’s obvious that Parallels was created as a television pilot and mashed together as a standalone sci-fi movie, since nothing is really explained. But, it’s delightfully strange and it’s unfortunate that FOX didn’t pick this up as a TV series, as it has bits of Fringe and Lost contained inside of it. The series movie is about a mysterious building that serves as a gateway to infinite parallel Earths. It’s such a creative idea and it’s executed nicely. Calling Big Trouble in Little China a sci-fi movie might be considered a stretch, but let’s classify it as an action sci-fi comedy. Yeah, that’s sounds about right. Somehow, this 80s gem only grossed $11.1M in the U.S. upon its theater release, but it has become an 80s cult classic since. In fact, there is a Big Trouble in Little China sequel/reboot planned. It’ll probably be named something ridiculous like Bigger Trouble in Little China. (Big Trouble in Little China made our list of the top 50 most underrated action movies, too). The Colony is never talked about when there’s a conversation about good action movies. The film stars Bill Paxton (Aliens, Edge of Tomorrow) and Laurence Fishburne (The Matrix, Apocalypse Now), so you know it has to be at least watchable. And it’s more than that. The Colony follows the story of colonies being forced underground due to an ice age, and while one colony searches for another, they discover a new threat…something truly disturbing.